Former Pink Floyd star leading a call for The Chemical Brothers to cancel upcoming concert in Tel Aviv. 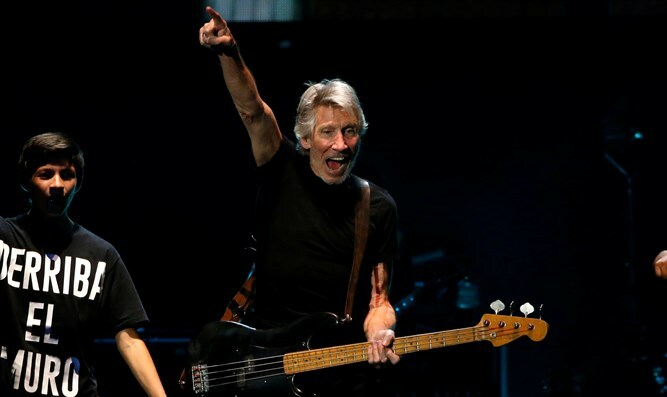 Roger Waters, the former Pink Floyd star who is notorious for his anti-Israel and anti-Semitic rants, is leading a call for electronic music duo The Chemical Brothers to cancel an upcoming concert in Israel. Waters joined other artists who have written an open letter by Artists For Palestine UK urging the duo to cancel their Tel Aviv show, scheduled for November 12. “Tel Aviv’s hipster vibe is a bubble on the surface of a very deep security state that drove out half the indigenous Palestinian population in 1948 and has no intention of letting their descendants back in,” the inaccurate letter reads, according to NME. Another 7,000 people have also have signed a petition asking the Chemical Brothers to boycott Israel, according to NME. In addition, Waters has frequently blasted other musicians for choosing to perform in Israel. Artists he has attacked include Jon Bon Jovi, Alan Parsons, the Rolling Stones, Neil Young and actress Scarlett Johansson. Just last week, Waters lost the sponsorship of American Express of his upcoming tour over his support for the anti-Israel BDS movement.